Did you spend your time as a little girl daydreaming about the day you would get married, the beautiful white princess dress you would wear, and the colorful flowers and decorations that would surround you as you said “I do” to your prince charming? Now that it’s time to plan the big day, make sure it’s everything that the little girl inside of you always dreamed of. Take the time to envision your perfect wedding day before you start planning and get an idea of what style you want for things like your dress and decorations then build the rest of your plans off of that. Seek inspiration and wedding ideas from style books and blogs, ask friends and family for help, and remember that planning a wedding is supposed to be fun. Always keep your wedding vision at the front of your mind while planning and your wedding celebration will make all of your dreams come true. Before you start planning the wedding of your dreams it’s important to envision the wedding you want. Create a picture in your head of the big day from the morning to the ceremony to the reception. What entertainment and style do you like? Visualize your perfect meal, your friends and family dancing, and drinks flowing. What kind of dress will you wear, how will you arrive at the ceremony, what suit will the groom wear? All of these little things come together to make a wedding so take the time to think them through before you start booking venues and bands, dress shopping, and taste tasting. To get started, you can search for some wedding ideas using WeddingVenture visual search. Save the photos you like to use as the source of inspiration to design a wedding that everyone will remember. There are so many styles to choose from when it comes to planning a wedding. You have to choose the style of your dress, the bridesmaids dresses, and the reception décor. If you’re not sure what style you want to go with, seek outside inspiration for help. Here are a few style books we recommend to get you started. 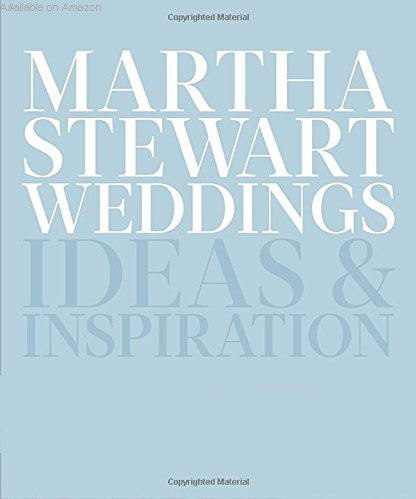 Martha Stewart Weddings Book: This ideas and inspiration book from Martha Stewart features rich photography, an expert voice on all things wedding related, and taste-making style for the perfect guide and inspiration for wedding planning. Style Me Pretty Weddings Book: From the powerhouse wedding blog Style Me Pretty, this book provides inspiration and ideas for an unforgettable celebration with a step-by-step wedding guide to gathering inspiration and custom crafting your wedding style from dress to DIY decorations with over 250 photos. Before you start officially planning your wedding you need to get organized and create a plan. This can be in the form of a notebook wedding organizer with checklists and deadlines or you can rely on a wedding planner to do the organizing for you. The choice is yours so long as you have an organization system to make sure nothing gets forgotten. Planning a wedding requires a lot of decisions so make sure you have a complete list of everything you need to do. Hire a Wedding Planner: If you aren’t good with organizing or know you will be very busy during the time leading up to your wedding, hiring a wedding planner or wedding consultant might be a good decision for you. A wedding planner does everything from helping you create your wedding vision to making sure every single piece of that vision comes together on the big day. They have the experience to make any bride’s dream wedding come to fruition. Here is a great list of top wedding planners near you to help you get started. Use a Wedding Organizer: Keep all of your records, details, and logistics in one place with this Wedding Planner & Organizer from celebrity wedding planner and author of The Wedding Book Mindy Weiss. This organizer includes everything you need to plan your own wedding and helps you keep track of every tiny detail leading up to the big event. This is an obvious suggestion but it’s so important to know every facet of your budget before you start booking venues or hiring entertainment and caterers. Don’t overlook the budget you’ve set for each piece of your wedding; know what you have to spend and spend it on the right things. Decide what’s most important to you as you set your budget so that you don’t cut the wrong corners trying to save money. If the venue is important to you, then cut corners with DIY decorations. 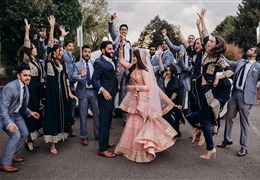 If the wedding memories mean the most to you then spend money on an experienced photographer and spend less on the reception hall. Knowing your wants versus needs will help you get your wedding plans in order. Needs are things like the photographer, venue, and wedding dress. Wants are items like flowers, cake, decorations, and favors. The wants are all important items too but keep them on the wants list to start and add them to the needs list as you make decisions and acquire them. Makes a wants vs. needs list will help you decide which items are most important to you and should receive the most attention and biggest budget, then move on to your wants as you check things off your list and see how much money you have left to spend. Go through your checklist and conquer one item at a time. This is another obvious suggestion, but don’t multitask while planning your wedding. Go through your checklist and conquer one item at a time. Don’t distract your search for the perfect venue with thoughts about caterers or wedding cakes. When you go to try on wedding dresses don’t let your bridesmaids distract you with trying to make decisions about their dresses on the same day. Focus on what elements of your wedding are most important to you and move on to less important items when you have time for them. Selecting the perfect wedding dress is one of the most important and most difficult decisions when planning a wedding. Do research on your own to get an idea of what kind of wedding dress you want, but don’t go shopping alone. Pick the family members and friends who know you best and will support you when you hit the bridal stores to start trying on dresses. You want people who will give you their honest opinion about what dresses make you look your best, but you also want them to be supportive of your dress decisions. You want your wedding day to capture your character as a couple and what is important to the two of you. Make your personal touches fun, incorporating them into your decorations, wedding favors, invitations, entertainment, etc. Try choosing a theme for your decorations or venue that match your personal tastes like travel, colors, movies, or music. Your guests will love getting an extra glimpse into the personal aspects of your relationship! It can be a stressful time, but it should be fun and exciting. Planning a wedding can make you feel like your whole life revolves around only that one thing for months. It can be a stressful time, but it should be fun and exciting. 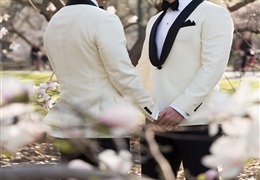 Take breaks and time away from planning to relax and spend time with your groom-to-be. Set date nights to enjoy a nice meal together or plan a weekend getaway when the wedding planning stress starts to buildup. Every bride wants to make sure her wedding day has everything she wants, but it’s impossible to do everything yourself. It’s important to ask for help when you need it. Lighten your list, hire help, and recruit your friends, family, and wedding parties. There are plenty of people in your life to help you tackle your wedding to-do list so don’t take on the stress of it all by yourself. As your wedding day quickly approaches, make sure to keep a few important things in mind. Focus on the vision you started with and make sure all of your plans along the way line up with that vision of your dream wedding. Focus on one thing at a time, stick to your budget and let your friends and family join in on the planning to give you the support you need and let them feel included in your big day. 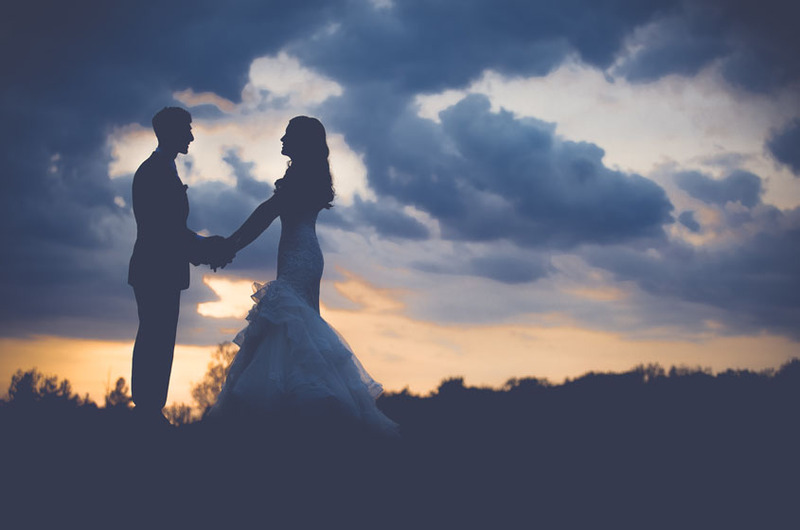 However, some of the most overlooked secrets to planning the wedding of your dreams is to take things one step a time, schedule time for yourself away from wedding planning, and never be afraid to ask for help when the checklists and appointments start to feel overwhelming. Planning your wedding should be something you look back on as a happy time, not months filled with stress. Let go of the small things and let your wedding vision guide your planning.